Some tooth fractures may involve your tooth’s dentin. These injuries often cause sensitivity to hot or cold temperatures. 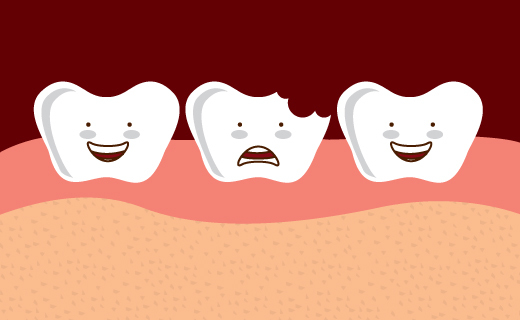 If you delay in getting treatment, the prolonged exposure to bacteria can cause the inner pulp of your tooth to die, and pulp death often leads to serious infections and abscesses. Try to see your dentist in Virginia as soon as possible to avoid complications and save your tooth. Treatment for an injury involving dentin usually includes a sedative dressing, a dental filling, a crown or cap, and follow-up x-rays in several months to ensure that the pulp is still alive. An affordable dentist in can determine the most cost-effective way to manage tooth injuries of any type, and modern dental technology offers many ways to manage pain and anxiety.